Trump tweeted the news that Kudlow was stricken as he was on his way to meet Kim Jong Un in Singapore. Larry Kudlow, the director of President Donald Trump's National Economic Council, suffered a heart attack and was being treated at Walter Reed National Military Medical Center in suburban Washington, the president said Monday night from Singapore on Twitter. White House press secretary Sarah Sanders said the heart attack was a mild one, telling reporters that Kudlow was in good condition and that he was doing well. As recently as Sunday, Kudlow, 70, was advocating on weekend talk shows for Trump's performance at the Group of Seven economic conference. He said Trump took a hard line at the conference to demonstrate his toughness ahead of his summit meeting Tuesday with North Korean leader Kim Jong Un in Singapore. 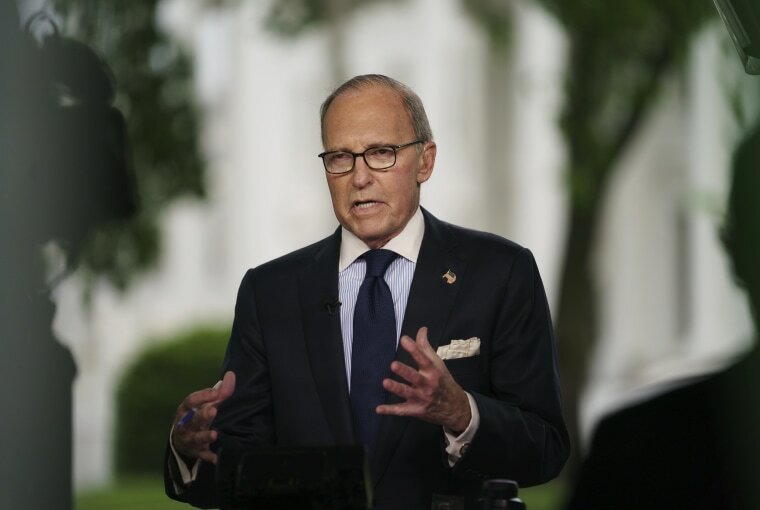 Kudlow, who worked in the Office and Management and Budget during the administration of President Roald Reagan, was a longtime financial pundit for CNBC, a sister network of NBC News. Trump named him to lead the National Economic Council in March. Vice President Mike Pence tweeted Monday night: "Karen and I are praying for our dear friend Larry Kudlow tonight." The news stunned titans of the financial world, including Steve Forbes, the editor in chief of Forbes magazine and a former Republican presidential candidate, who said on Twitter that his prayers were with "the wonderful, great Larry Kudlow for a swift recovery." David Bahnsen, a close friend of Kudlow's and managing partner of the Bahnsen Group, a wealth management firm in California, called Kudlow "my hero, my friend, my mentor, my brother" on Twitter. "I can only pray right now and beg everyone else to do the same," Bahnsen wrote. "Dear God, please please please."